Read our roadmap on how to play Battlefield V and find your way. Congratulations, you either own or plan to jump into a never-before-seen portrayal of World War 2 in Battlefield™ V — a sandbox of unscripted, destructive chaos for up to 64 players wielding a treasure chest of era-specific weapons, vehicles, and aircraft. 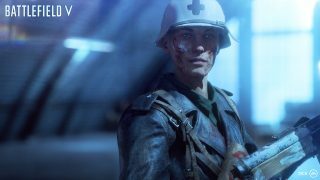 This includes gameplay and features like the multi-map, multi-mode Grand Operations, the single-player War Stories campaign, customizable soldiers and gear in your Company, as well as the expanding post-launch journey through the Tides of War. 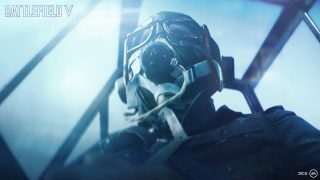 We know all this that can be overwhelming, so we've assembled an eight-step roadmap below that answers your questions on where to start with Battlefield V.
An anthology of single-player tales, known as War Stories, puts you in unfamiliar battlefields of WW2, told as first-hand accounts from different protagonists. This collection of drama, action, and tragedy is playable with the same tools of the Battlefield sandbox and a great place to learn the basic elements, which you’ll then use in multiplayer. For example, in Nordlys, you have to infiltrate an Axis facility, rescue your mother, and stop an Axis scheme. Players are encouraged to employ the Recon Class tactics of scouting and precise weaponry to even the odds. In Under No Flag, players can sabotage a German air base by knocking its planes from the sky with gun emplacements, or by stealing a Stuka bomber to pilot against the enemy. After you’ve completed these extraordinary stories of ordinary people and can run circles around computer-controlled enemies, you could always jump right into multiplayer. Or, shortly after launch, go the extra mile when you enter the Practice Range. 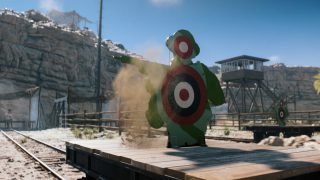 Not long after launch, you can test your reaction times, accuracy, and feel for the weapons of Battlefield V at the Practice Range. Fiddle with Class loadouts to see what fits, or joy ride in vehicles and guarantee you’re not that one player who drives their squad into a ditch. Now, out of the practice range and into the battle. The weight of your weapon is steady in your hand and you’re starting to hesitate less between shots. 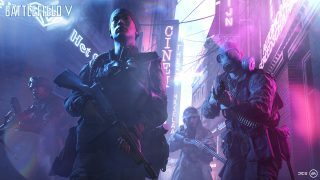 It looks like you’re ready for multiplayer, the bread and butter of Battlefield V.
Multiplayer is about the mix of new and iconic modes and the places you’ll go to play them. At launch, four countries are represented across eight small-to-massive-sized maps. These are designed to capture unexpected locations crucial in WW2 as arenas for up to 64 players. You won’t get dropped onto the map right away, first you’ll need to choose a Class. The four iconic Classes of Recon, Support, Assault, and Medic return in Battlefield V, each equipped with distinct weapons and gadgets that can forge a squad for any fight. Where do you fit in? With playtime, you’ll develop an instinct for what works, but for now, we recommend the versatile Assault Class. This Class is the infantry backbone suitable for most firefights, good in defensive and offensive positions. You might be surrounded by more veteran teammates and you can sometimes learn where to be and how best to aid your squad by watching what they do. Then, rotate out of the Assault Class for a different set of boots. Everyone adapts differently, but we advise trying the Recon Class last, as it demands slightly better weapon control and map knowledge. The maps, modes, and Classes offer players the opportunity to take on a wide variety of fronts, but we know these can be overwhelming for new players, so we suggest a path. Conquest is the Battlefield™ staple where up to 64 players split into teams, work together to control key locations, or Flags, on the map. Conquest is playable on every map so even if you play just this mode, you’ll eventually deploy at each location. The mode caters to large teams so if you are still getting your feet wet, there is enough diffusion of responsibility to make a few mistakes. The Flag spots are at strategic locations and working to capture each will force you to move around the map and discover its nooks and crannies. You can spend a weekend glued to Conquest, but we encourage you to experiment with every mode in Battlefield V once you’re comfortable, like Grand Operations or ol’ reliable Team Deathmatch. You might even end up winning except when you don't, because sometimes you won’t and that’s something you’ll learn. Bridge the gap between good and great by checking out our handy Boot Camp series for multiplayer tips that will walk you through the absolute basics to more advanced advice. These are great at any stage of your Battlefield career. Once practice becomes play and reloading is second nature, focus on building your Company, the collection of soldiers, weapons, and vehicles that grows and changes with nearly every minute spent on the battlefield. Just by playing, you will earn new abilities and customization options that affect your ability to maneuver, exploit, and turn the evolving battlefield in your favor. Every choice has an impact and your strategy will change once the post-launch Tides of War starts. But there is no need to wait! Complete Special Assignment and Daily Orders whenever you jump into Battlefield V and earn Company Coin to unlock weapon and vehicle progression options or cosmetic items such as jackets, face paint, and weapon skins. Special Assignments are a series of in-game tasks that challenge your skills on the battlefield. Daily Orders are smaller challenges that rotate daily and prompt players to resupply teammates a certain number of times or destroy a set number of enemy vehicles, for example.